Autumn is a wonderful time for walking. The air is crisp, the leaves are crunchy beneath your feet and the British countryside comes alive with a kaleidoscope of colours. Autumn is a wonderful time for walking. The air is crisp, the leaves are crunchy beneath your feet and the British countryside comes alive with a kaleidoscope of colours. Weather wise however, it can be an unpredictable season with it warm and sunny one day and cold and wet the next. Thankfully, Cosyfeet has a range of footwear and socks to ensure you’re properly dressed for every eventuality. 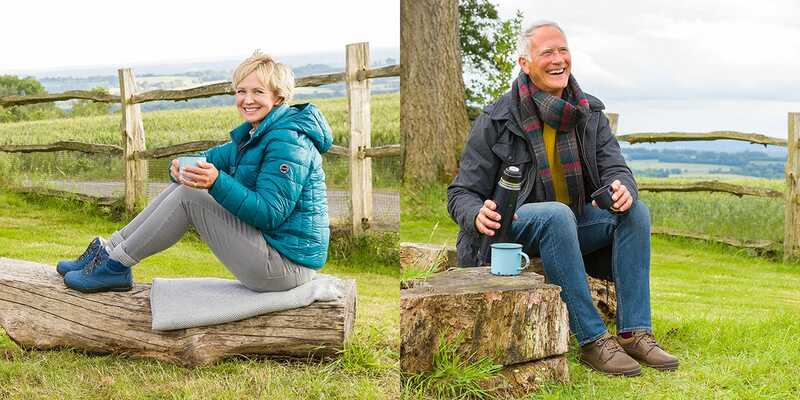 Perfect for tackling the cold and rain, our 100% waterproof footwear for men and women is also breathable and windproof to ensure your feet stay warm and dry, however bad the weather gets. Choose from Moose and Minnie for women or Stanley and Livingstone for men. Designed for more challenging conditions, our Minnie High-Performance and Moose High-Performance waterproof styles have a special ‘self-clearing’ tread that works extremely well in mud, ice and snow. The deep cleats and heel profile provide good grip, so the footwear is very stable when you’re walking on uneven surfaces. We’ve also got some stylish boots that are perfect for strolling on milder days. Joanna, Megan and Markle are contemporary boots with lots of room for swollen feet while Julia has a stretchy front that’s ideal for fitting bunions or problem toes. 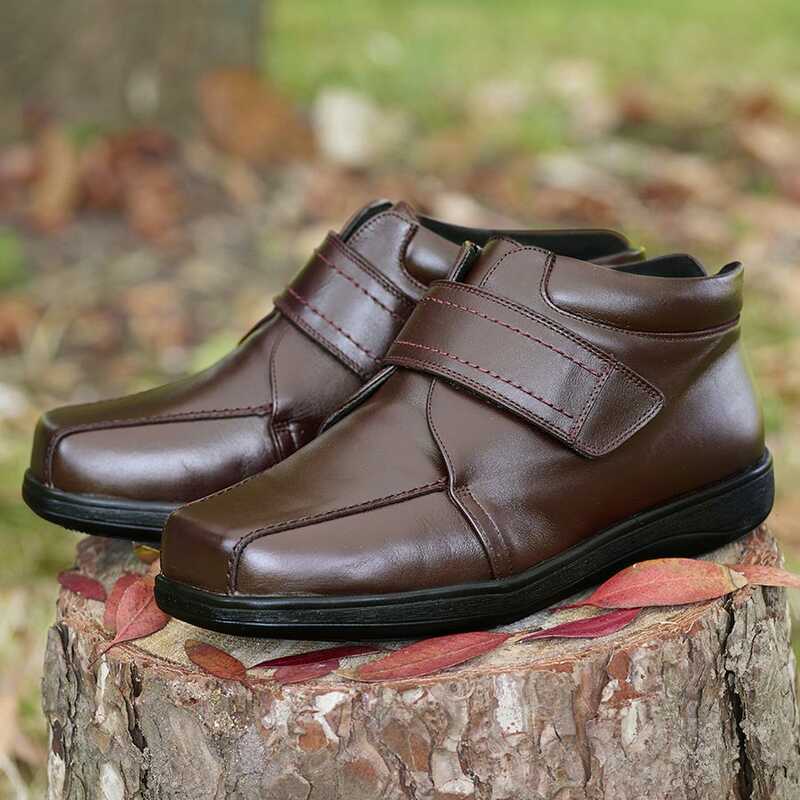 For men, we have Alex, a soft, leather boot with lots of support and a deep toe area which is ideal if you have a bunion or hammer toe. Wearing the right sock is equally important for foot comfort. Our ultra-comfy Cape Mohair® Medi Sock is great for walking as it’s lightweight and breathable and has natural climate control. It also resists foot odour and wicks away moisture, keeping feet fresh and dry. It’s cushioned at the heel, for extra comfort, so it’s ideal if you’re sensitive underfoot. 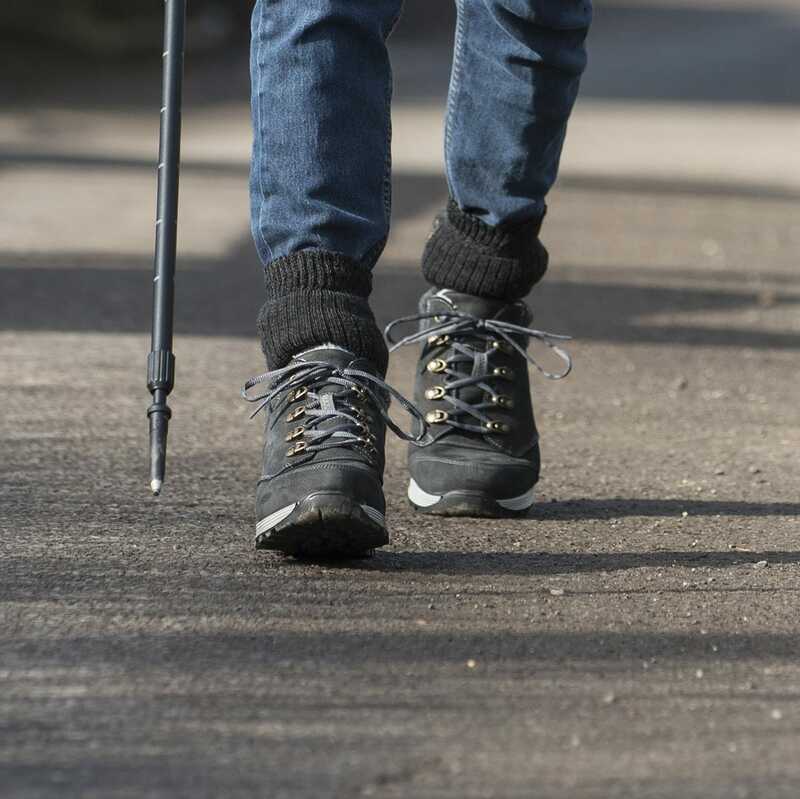 If you need some extra support, why not look at our walking collection which includes hiking poles, rollators and walking sticks.